Apparently the Apostle Paul did not spend all his time reading only the Scriptures (though one could argue he knew it better than any man has ever known it, both ancient and modern). Here in speaking at the Areopagus to the people of Athens, the Apostle Paul references the Greek poets Aratus and Cleanthes when he says “For we are also his offspring”. Paul is not negating the need for faith to be a true child of God, only that the poets had discovered some measure of truth in that all the children of Adam owed their existence to God, and in that sense God was their Father. Though they had not become true sons, adopted sons that is, through faith in Jesus Christ. All of that to say that reading some things outside of the Scriptures is not evil (granted I’ll be stretching my application of this verse a bit, so bear with me). Though anything outside of the Scriptures must automatically be considered as imperfect, since only God’s Word is perfect alone. Though you may learn some truth in another book, it is still not the truth. It is only a shadow in comparison to the light of God’s Word. I am going to be adding another page to this site where I will start to put Christian Book reviews. Since becoming a Christian I have fallen in love with reading. One of my pastors once said, “Leaders are readers and readers are leaders”. 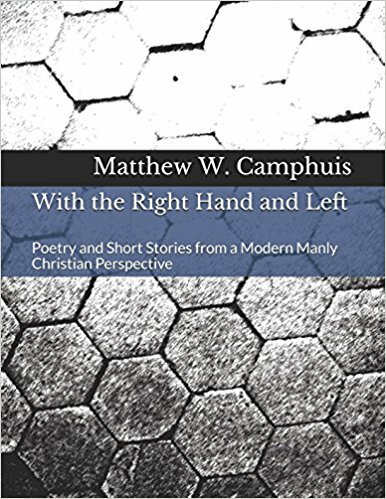 In these reviews I plan to pick out a few of the highlights (there are always way too many to pick out, but that’s a good problem to have) as well as possibly give a few critiques (mostly theological ones when I find them). The way I see all this, it helps when you have a friend who can refer good books to you and help steer you through them. There are only so many books we will have the time to read in life, so why not pick some recommended ones? If you do decide to read a recommended book I ask that you still do so with discernment and prayer, because even the best of books are still not the Bible. The Holy Bible (this one is always number one and should be read more often than anything else, it trumps any book any time). © 2012, Matt Camphuis all rights reserved. Have you see this book?